As usual, QURA conducted our Christmas get together in December 2009 with around 40 members attending at the Victory Hotel. It was great to see members gathering to chat about old times. Some photos can be seen further in this newsletter. 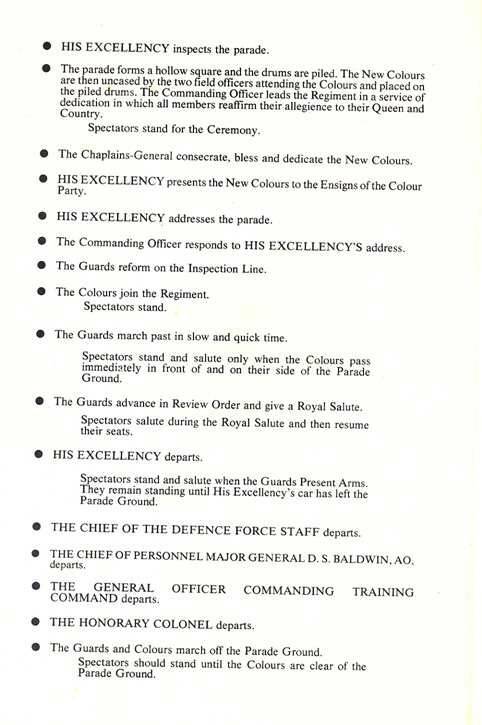 The Back to the Regiment function will be conducted on Saturday 6 March 2010. Members from QURA join with members of the Regiment to have a drink, talk, and share a meal in the Standfast Club. This year is especially important in that it is the 30th Anniversary of the Club. A small ceremony will be conducted to recognize this anniversary. LTCOL Harry Standfast has indicated that he will attend. It is always a very relaxed function and is a pleasant way to spend a Saturday evening. All QURA members and their friends are welcome and are encouraged to attend. 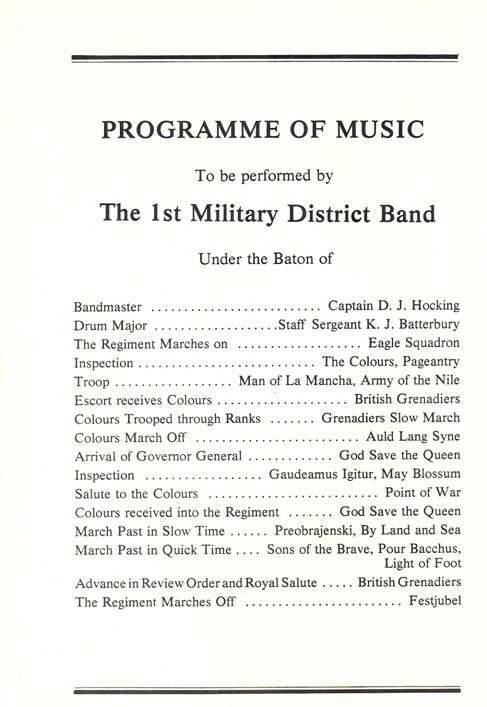 The Regiment supports the function with the location and catering. 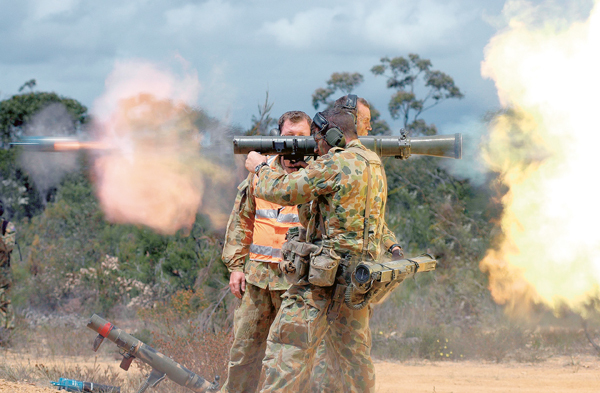 We are greatly appreciative of the work which the members of the Regiment do. 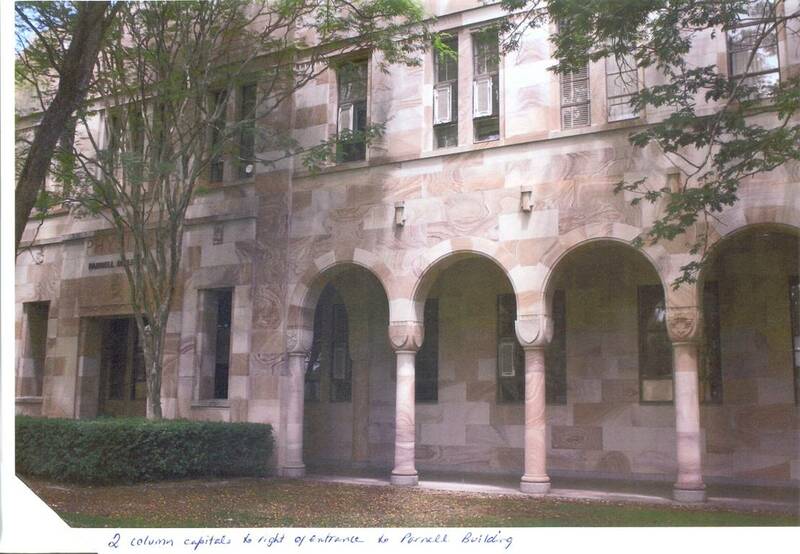 As indicated in the last newsletter this year is the Centenary of the University of Queensland. 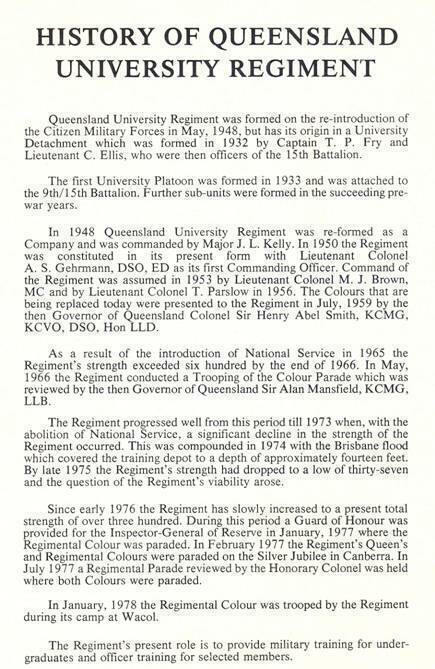 The contribution and association of QUR and the University Squadron RAAF members with the University will be recognized by carvings of the unit badges on columns in the Great Court on campus. QURA has been invited to support the project financially. 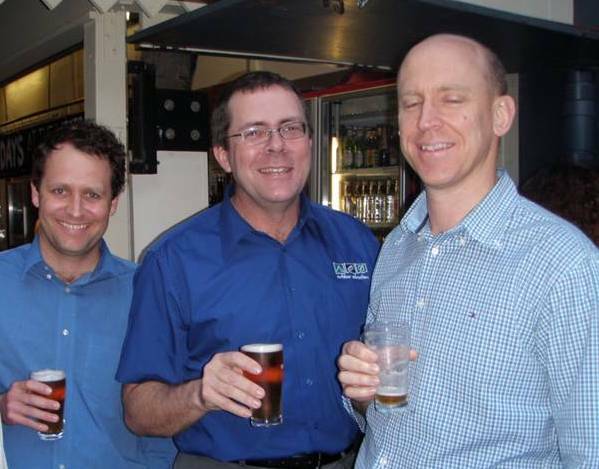 At the last AGM (9 September 2009) QURA agreed to raise the funds required. QURA has applied to the Department of Veterans Affairs for a grant and the shortfall will be raised through donations from members. More details and pictures will be seen further in this newsletter. Members will be welcome to attend the unveiling. Arrangements are currently underway to provide an historical display for QUR. The display will be drawn from the historical items held by the Association. 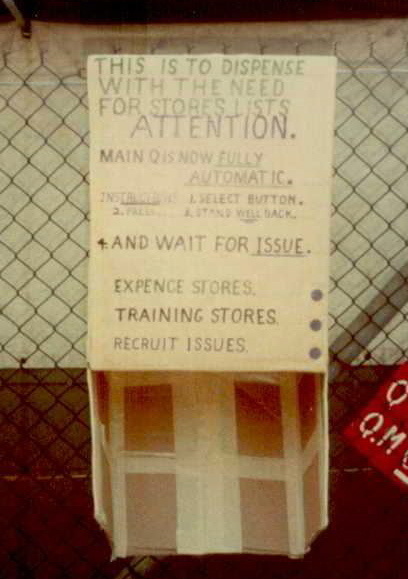 It is intended to have the display complete by the Back to the Regiment function. We have been approached by members of QURA residing in north Queensland to establish a chapter of QURA there. The executive management committee is currently working on this in order for this proposal to be successful. Don’t forget we have for sale some QUR memorabilia which would make fine presents for your friends. The details on how to purchase the items are at the end of this newsletter. The small profits we make on sales go towards our funding for projects. I wish you all the best for the year and look forward to seeing you at the Back to the Regiment. Although we are already well into February, may I wish all members of the Association a Happy New Year. I trust that all had a safe and happy festive season. This early high tempo will continue throughout the year. Indeed, it may increase. But the Regiment is relishing the work, and enjoys carrying the responsibility for such an important role within the Army Reserve. The work is meaningful, challenging and rewarding, and QUR members feel fortunate to be part of the Regiment during such an important phase in its history. 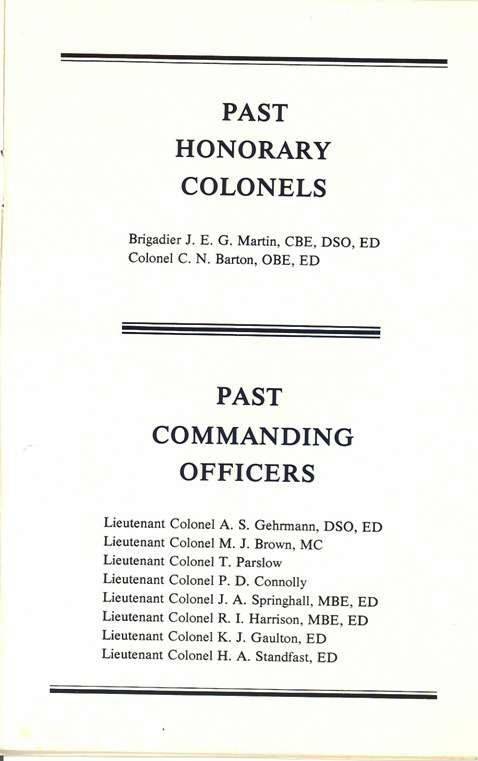 On other Regimental matters, I am unable to provide any update on two issues that I know are of interest to many of the Regimental Alumni. We have received no news regarding the restructuring of all bands within the Army, so any implications for the QUR Band are still unknown. Similarly, no direction has emerged from last years’ review of the dress embellishments for all University Regiments. I will keep the Association informed of any developments on these matters. Whilst the Unit will be extremely busy during 2010, it is important that we do not become so task-focused that we don’t take time to enjoy and uphold the esprit-de-corps that binds both serving and former members. To this end, I would like to warmly encourage members of the Association to participate in the well established annual events on the Regimental calendar. 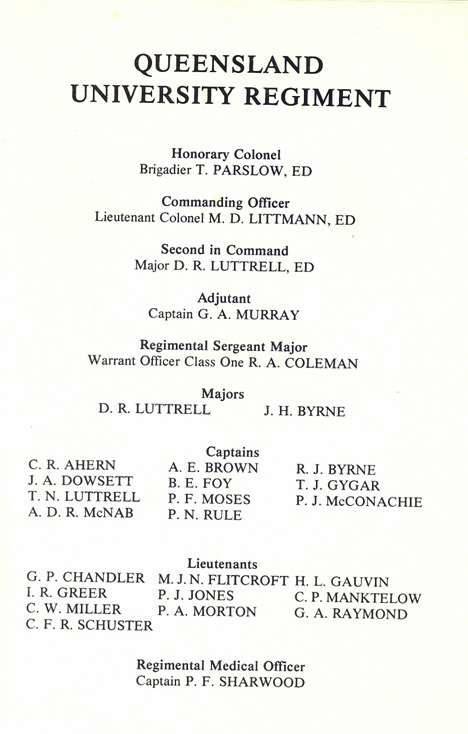 The Back to the Regiment function, ANZAC Day activities and the annual Officers Dinner are all very important for sustaining the heritage and traditions of the Regiment, and I would particularly encourage those who may not have attended such functions for a few years to enjoy the camaraderie in 2010. I look forward to catching up with many of the QURA throughout the year. 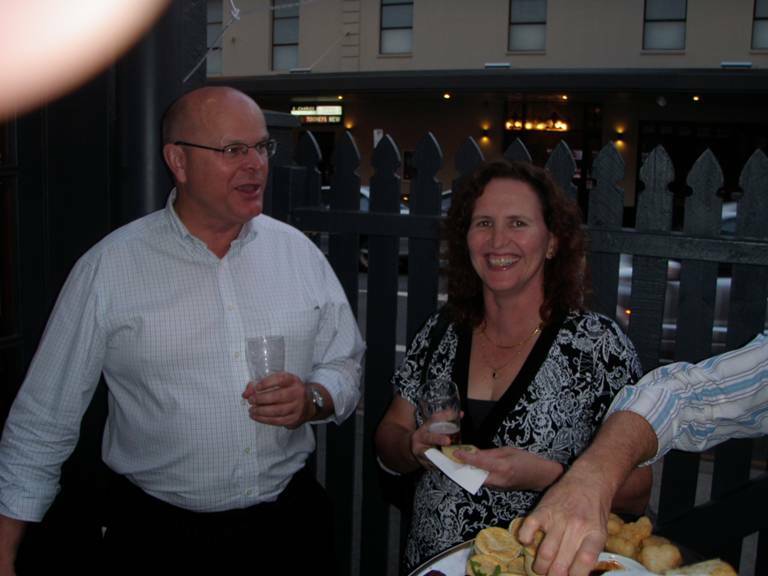 The 2009 QURA Christmas party was held on 3rd December, 2009 at the Victory Hotel in Charlotte Street Brisbane. 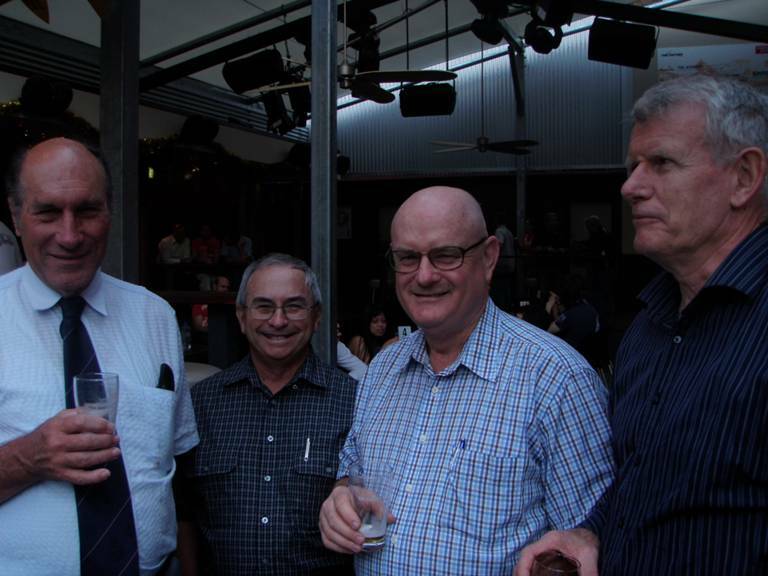 Approximately 35 members attended the very convivial night. The following is a pictorial representation of the night thanks to photographer Trevor Luttrell. 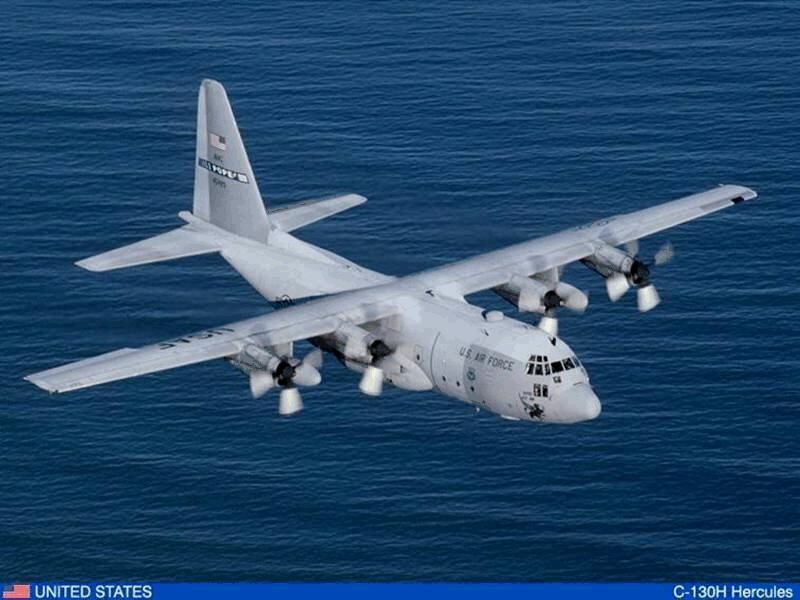 asked the C-130 pilot what he thought of that? When you are young & foolish - speed & flash may seem a good thing !!! When you get older & smarter - comfort & dull is not such a bad thing !!! 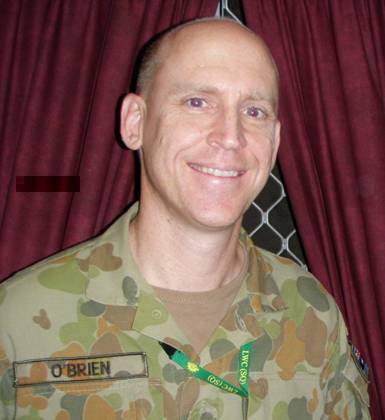 I have just deployed on OP MAZURKA to the Sinai in Egypt to work as part of the 25 strong Australian Contingent to the Muntinational Force & Observers (MFO) as the Staff Officer Plans in the Ops Branch and as OPSO for the Australian contingent. 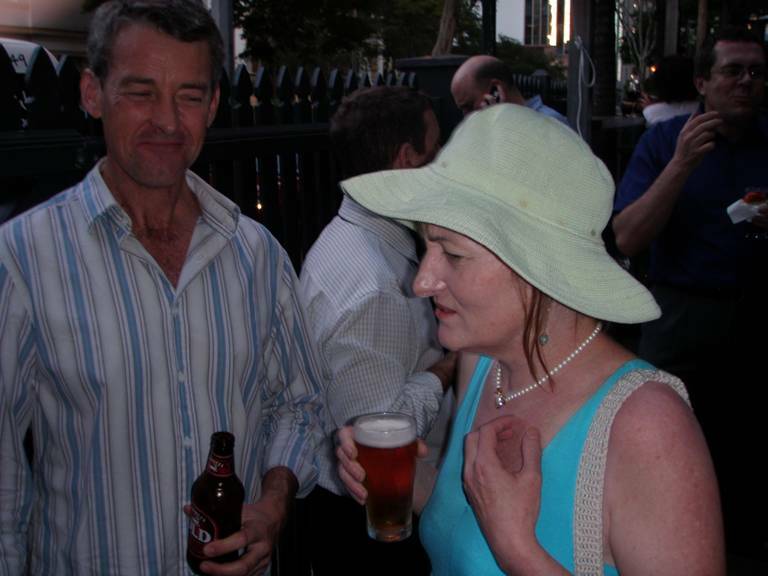 The posting is for six months and I return just before Anzac Day 2010. I'm sure I'll have a few stories to tell on my return. won't be able to attend. I hope that the party goes well in the (new?) Victory Hotel. As always good to get the QURA newsletter. Unfortunately I won't be able to make it to Christmas drinks - I'm in Canberra already where I have to spend about four months before heading off to Europe in March next year. 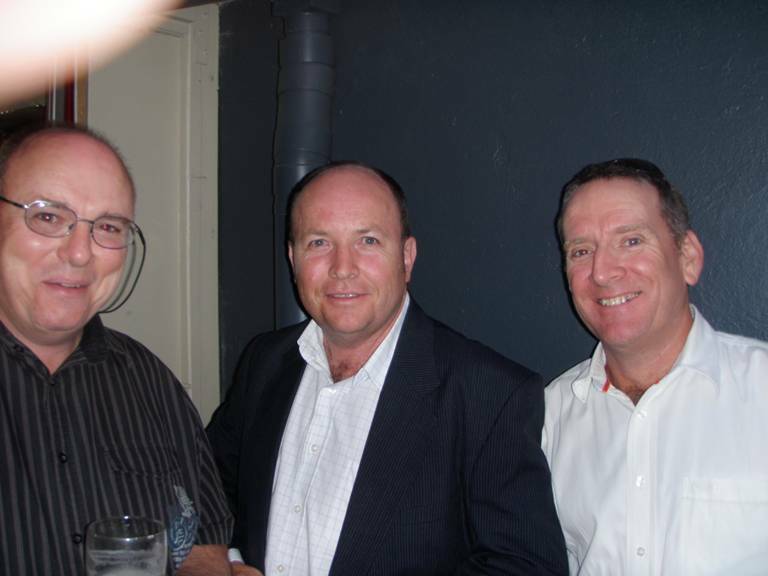 Good to catch up again during my few years in Brisbane - and, all things going according to plan, I'll be back there on a more permanent basis after the posting to Brussels. Of course I'll be able to keep up with QURA "happenings" via your newsletter - and of course if ever you decide to venture to the other side of the world it would be great to catch up in Europe. I am currently on the Rhine River in Germany so please accept my apology for 3 December. Thanks for your email. Unfortunately I won't be able to attend the function on the 3rd Dec. I have been returned to 41RNSWR at Tweed Heads after being overseas for a few years. 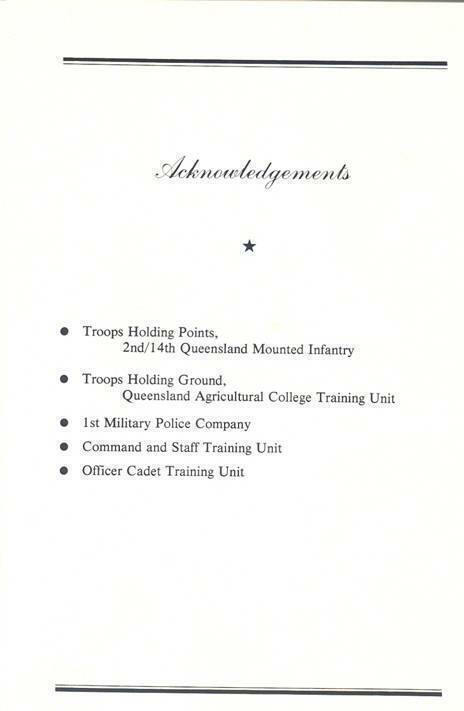 If any QUR staff cadets happen to be based or moving to the Gold Coast, there any always subbie positions available at my unit. Feel free to pass on my details and they can contact me at anytime. 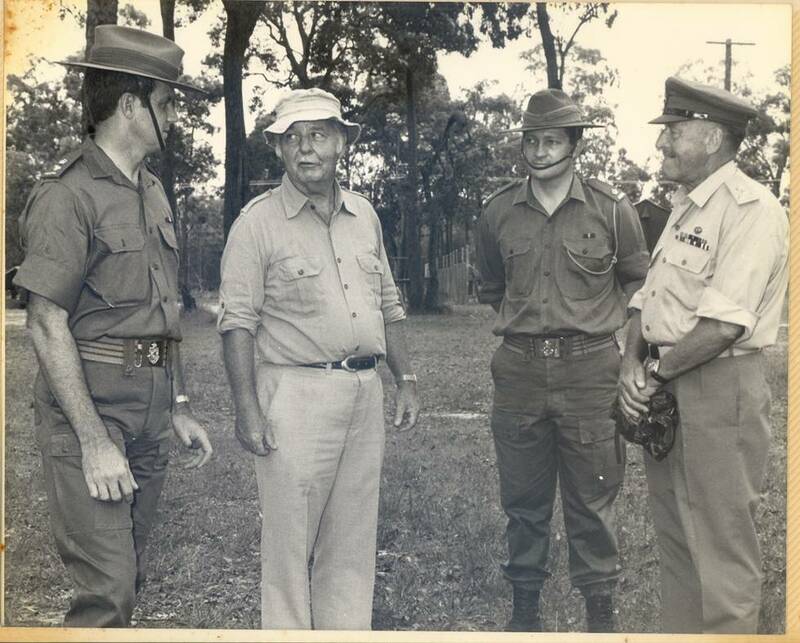 CO QUR, LTCOL Denis Luttrell, The Governor of Queensland Sir Walther Campbell, 2IC QUR, Major Ian Bunce, Honorary Colonel QUR Brigadier John Springhall. Sculptured Badges on Great Court Columns 3 July 2010. This year is the Centenary Year for the University of Queensland. On the weekend 2-4 July 2010 the University will celebrate this milestone. 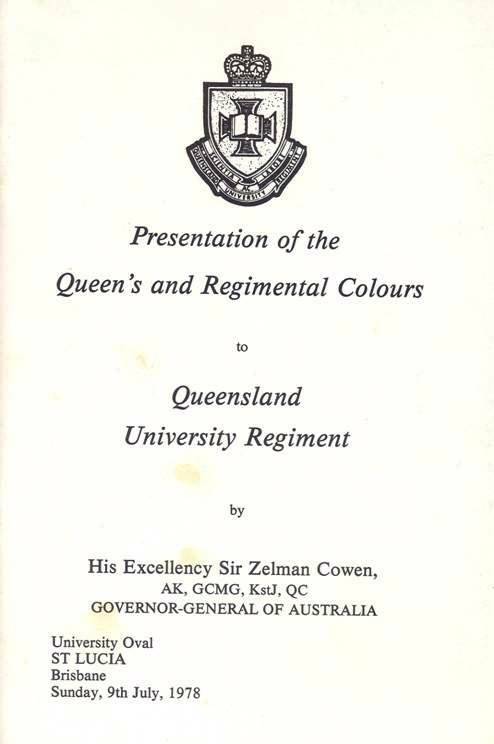 As part of the celebrations the University Senate wishes to recognize the long association of QUR and the University of Queensland Squadron RAAF (now disbanded) with the University. 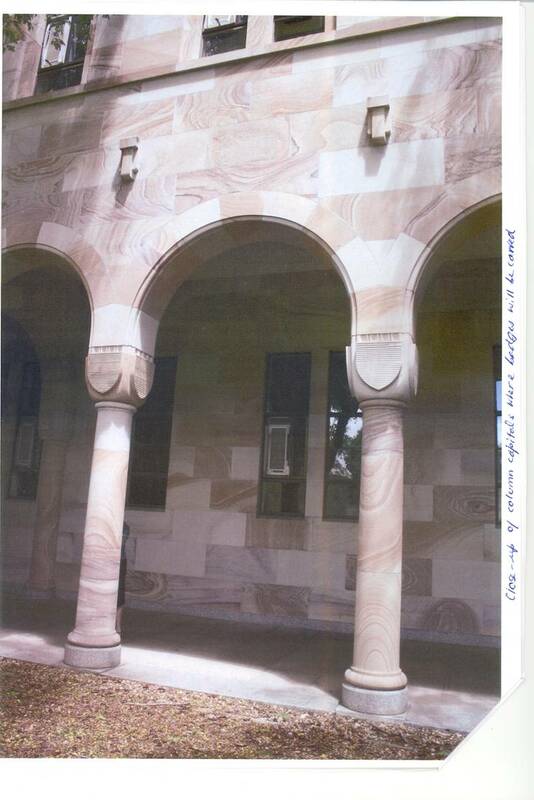 This will be gained by having the badges of both units carved into the column capitals in the cloister of the heritage listed Great Court of the St Lucia campus. On Saturday morning 3 July 2010, the carvings will be unveiled. The Governor General of Australia has been invited to undertake the unveiling. As a project, QURA has undertaken to provide the funds for the carving of the Regimental Badge and the administrative costs for the unveiling ceremony. Dr Rhyl Hinwood, a well known artist will sculpture the badge. 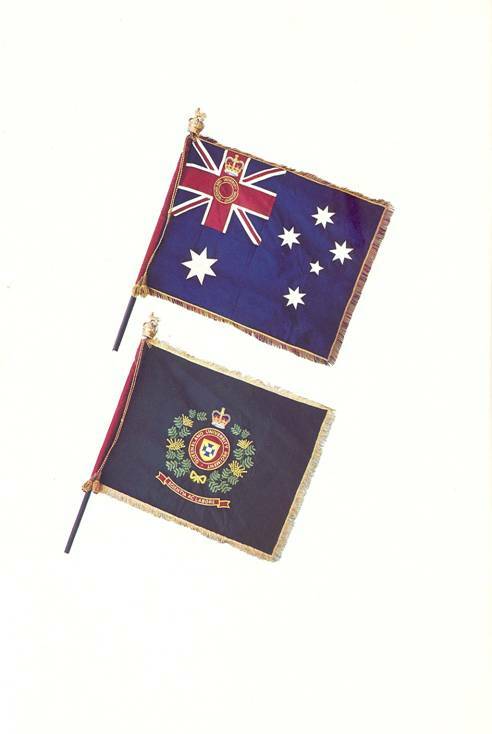 QURA has applied to the Department of Veterans Affairs for a grant under the Australian Government commemorations program, “Saluting Their Service”. If this application is successful QURA will still be required to provide funds to cover the complete cost. The success or otherwise of this application will not be known until April. At the Annual General Meeting of QURA in September 2009 a motion was passed to call for donations from members who would like to contribute to cost of the plaques. As QURA is not certain of the success of the grant application and the final cost of the project, the Association has decided to wait on the call for donations. This will mean that we will not have much time to call for support. However, if members would like to contribute earlier, we would be greatly appreciative. All donors will be issued with a receipt from the University of Queensland, which may be used as a taxation deductible cost. 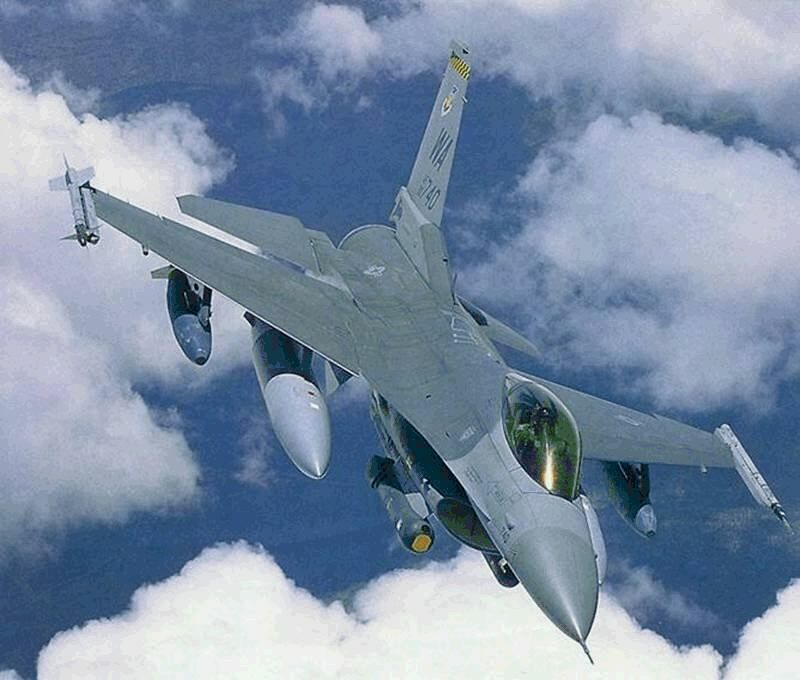 Alternatively, to enable the Executive Management Committee to guarantee success of the funding for the project, members might wish to contact Trevor Luttrell (Home 3345 2754, Mobile 0437 442 964 Email trevor.luttrell@gmail.com) with an indication as to an approximate value of any donation which may be offered. Obviously the committee will attempt to keep the donations required to a minimum for members. 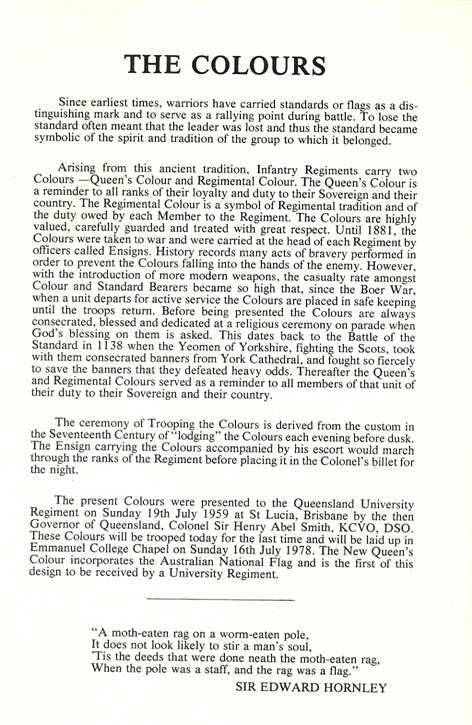 In 1978 QUR was presented with new Queen's and Regimental Colours. 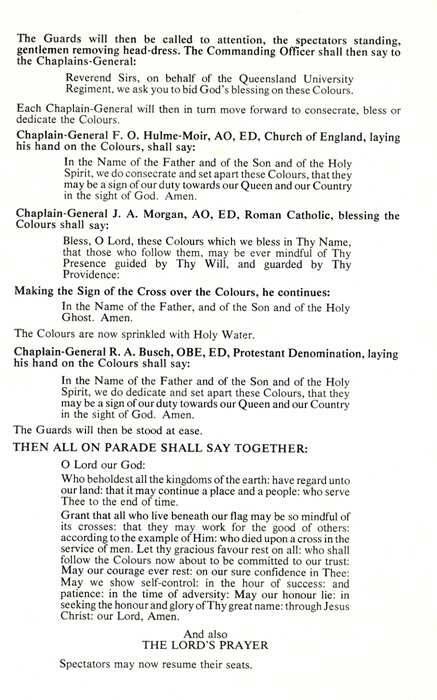 An "Order of Ceremony" booklet was given to all people who attended the parade. 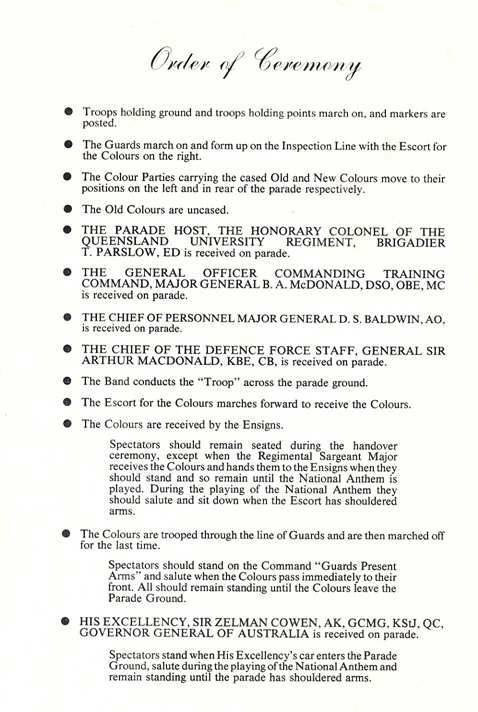 The following pictures are copied from the booklet. I will be attending the Association’s Annual Back to the Regiment Function to be held at the Walcott St Depot on the evening of Saturday 6 March 2010 starting at 1800 hours. 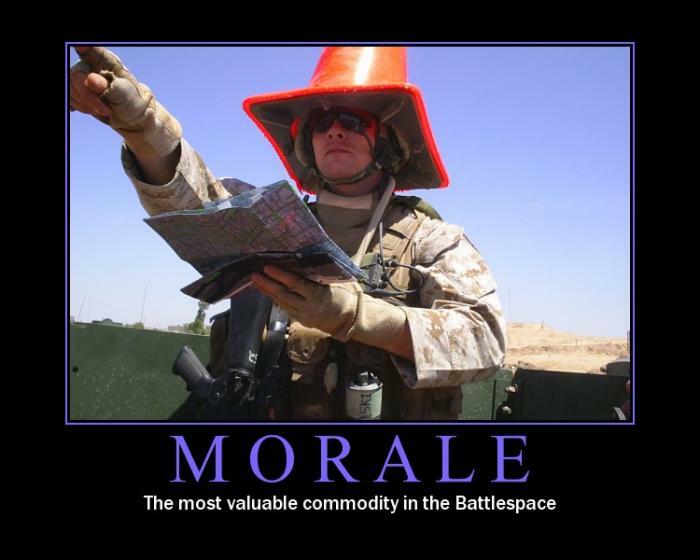 An officer is much more respected that any other man who has a little money. The right of conquest has no basis except the right of might. 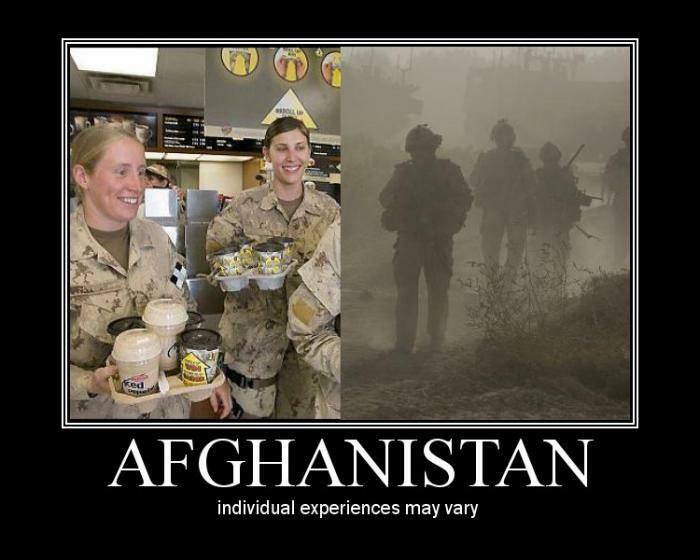 The Services in war time are only fit for desperadoes, but in peace are fit only for fools. viz, more poverty, more drink, more faithless sweethearts. 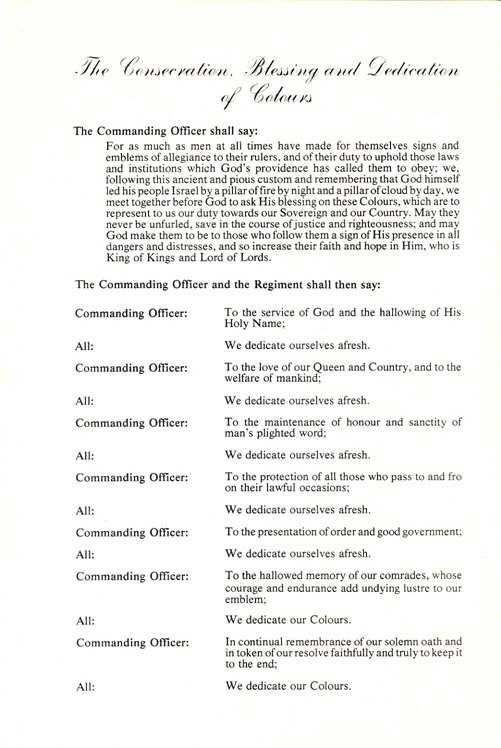 Duty is ours, consequences are God’s. 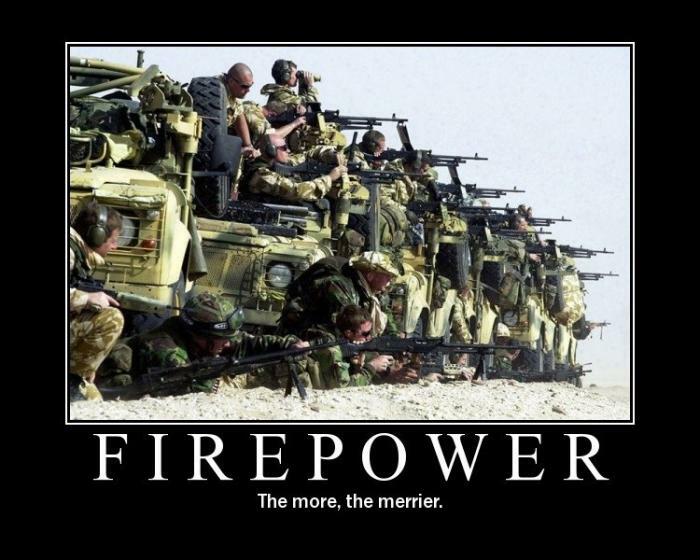 A piece of spaghetti or a military unit can only be lead from the front end. If slavery in not wrong then nothing is wrong. In one minute I think I’m a wigwam, and the next minute In think I’m a teepee, does that mean I’m too tense? If procrastinators had a club, would they ever have a meeting? If the professor in Gilligan’s Island could make a radio out of a coconut, why couldn’t he fix a hole in a boat? on the back of a cat and drop it? pretty much depend on the weather. One good thing about middle age spread is that it brings people closer together. A life spent making mistakes is not only more honourable but more useful than a life doing nothing. A man can have two, maybe three love affairs while he’s married. After that it’s cheating. Abstract Art - A product of the untalented, sold by the unprincipled to the utterly bewildered. Copy from one, it's plagiarism; copy from two, it’s research. There are two kinds of books: those that no one reads and those that no one ought to read. Fox hunting is the unspeakable in pursuit of the inedible.